The Federal Information Technology Acquisition Reform Act (FITARA) was enacted in December 2014 with a goal of promoting IT modernization and workforce development for the employees who will work with and manage that modernized IT. To help speed along progress, Congress has passed a number of other Acts that support these goals. The MEGABYTE Act (Making Electronic Government Accountable By Yielding Tangible Efficiencies) was passed in 2016 requiring executive agency CIOs to develop a comprehensive software licensing policy in order to track spending on software, identify unused licenses and avoid duplication. This act helps further guide CIOs to FITARA compliance by inventorying agency technology licenses and following the guidance on government-wide options available for efficient consolidation of those licenses. Modernizing Government Technology Act (MGT) has been approved by the House and is currently going through the Senate as part of the National Defense Authorization Act. This act responds to the fact that the government spends nearly 75 percent of its annual information technology funding on operating and maintaining existing legacy information technology systems. The goal is to modernize these systems to remove the operational risks and rising costs they pose. 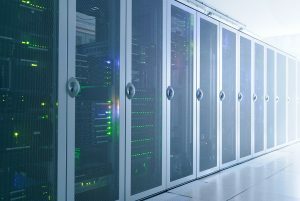 Key to this legislation is the establishment of an IT modernization fund that federal agencies with approved modernization plans and real results could access to support their ongoing modernization efforts. Savings obtained by federal agencies through streamlining IT systems, replacing legacy products and transitioning to the cloud, can be placed in a working capital fund that can be accessed for up to three years for further modernization efforts. [Tweet "Federal agencies are still struggling to meet the goals of FITARA. #GovEventsBlog"]Even with all of this help from friendly legislation, agencies are still struggling to meet the goals of FITARA. Since FITARA's implementation, agencies have been required to submit self assessments showing how they are complying with the Act guidelines and plans for improving their scores. To date, no agency has received an A rating in all four of the key areas. In fact, over the last several quarters, many agencies have stagnated with C and D ratings. Additionally, no government agency has achieved the defined common baseline for CIO authority. In an upcoming post we'll look at why agencies are struggling with FITARA and what is being done to help drive compliance. This entry was posted in Event News Articles and tagged DCOI, FITARA, MEGABYTE, MGT Act, modernization, procurement, Security by Kerry Rea President of GovEvents. Bookmark the permalink.